The Tutus invite readers to 'walk with us on the path of forgiveness.' They write, 'We trust in these pages you can learn the skills and disposition of heart you will need to repair your relationships, and, in some important way, contribute to repairing our world.' To aid those on the path, and to make forgiveness accessible, whether they want to forgive or be forgiven, the book sets out a four-step process. These steps are summed up as Telling the story, Naming the hurt, Granting forgiveness, and Removing or releasing the relationship. The book provides meditations, exercises and prayers to guide the reader along the way. I have read much of what Archbishop Tutu has written over the years. Indeed he kindly made a very fine chapter from an earlier book 'No Future without Forgiveness' available for my book 'No Enemy to Conquer'. This latest work is a valuable, most readable, addition to literature about forgiveness for the public at large and also for those of us who try to express its significance in books and articles. I first met the Rev Desmond Tutu 40 years ago in London. He and I are five months apart in age. I would never then or even much later have envisaged the wonderful changes that have come to South Africa and what a crucial role he was to play in his country’s history. I welcomed him once to Oregon, on behalf of the World Affairs Council, when we lived there, and was delighted when his chaplain joined the staff of our daughter’s school in Portland. I enjoyed talking with him more recently when he supported an initiative in London by Marina Cantacuzino’s Forgiveness Project. We met his daughter, Naomi, in Connecticut and I was grateful for a blurb she did for my book on women peacemakers 'All Her Paths Are Peace'. She later showed Erica and me around his official residence, Bishopscourt, in Cape Town when her father was on a retreat. It was memorable to observe the Archbishop’s portrait standing out alongside the archbishops of previous times. It is good to see that another daughter, Mpho, is co-author of the latest book. Archbishop Tutu and his family have always been supportive of others. One of the most pleasing and unexpected emails I ever received was just after I had finished writing 'Forgiveness: Breaking the Chain of Hate'. It was from the archbishop: 'I am still on vacation but have just finished reading your book which I found profoundly moving. 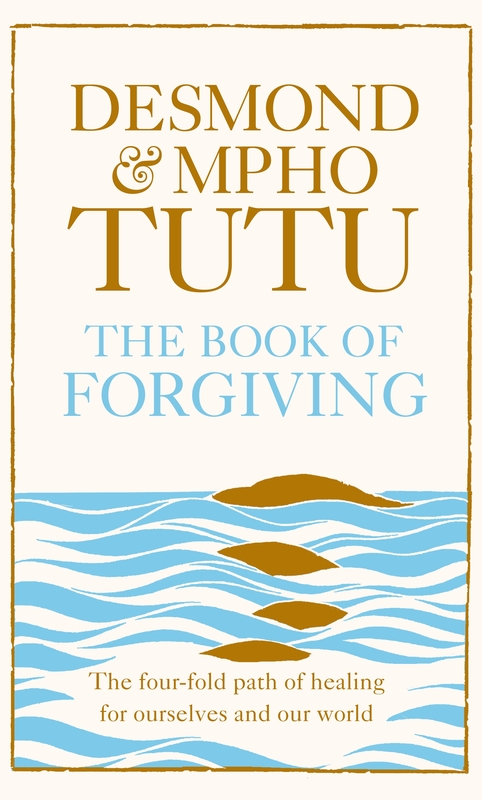 How about this for a blurb: "A deeply moving and eloquent testimony to the power of forgiveness in the life of individuals, of communities and between and within nations. It effects change. A powerful book." God bless you, +Desmond Tutu'.